On their own, most cold sores will go away in about 10 days, but that’s no reason you should suffer. There are prescription and over-the-counter (OTC) medications; these treatments not only shorten healing time, but can also reduce the pain associated with cold sore outbreaks. 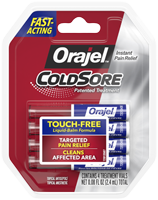 Orajel™ Touch-Free patented treatment is an OTC option that provides much needed temporary, topical pain relief to a cold sore. In fact, pain relief is instant, unlike other OTC oral pain relief remedies such as acetaminophen and ibuprofen, which can take 30-60 minutes to have an effect. Because cold sore symptoms develop rapidly, you’ll want to begin a treatment at the first sign. Some initial symptoms may include: tingling, burning, itching, pain, tenderness, etc. Some people find relief from swelling and pain with ice, popsicles, or a cold, wet towel. You can apply these remedies directly on the sore, three times a day for up to 20 minutes at a time. Avoid foods with a high-acid content, such as citrus fruits and tomatoes, as these can worsen the pain. Wash your hands often, especially when an outbreak occurs. 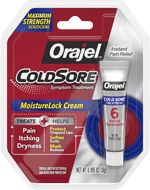 Avoid anything that is known to trigger a cold sore for you. For most people, these factors include: stress, a common cold, trauma/damage to the face, and certain foods (often nuts, chocolate, and gelatin). Always use a protective lip balm and sunscreen on your face before prolonged exposure to sunlight (regardless of the season). When you have a cold sore, do not kiss anyone or share eating utensils. Most people can effectively treat their cold sores with an over-the-counter medication and do not need a prescription medication. However, if you have very severe symptoms, suffer repeatedly from cold sores, or have symptoms that don’t clear up within 14 days -- you are advised to visit your primary care physician. 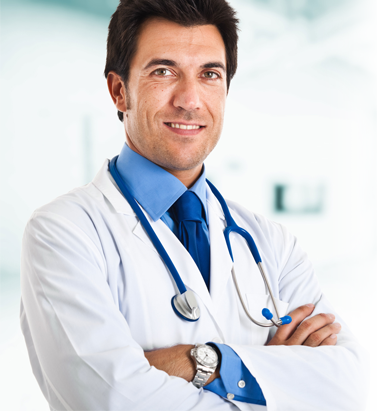 A doctor can assess your symptoms and possibly prescribe a medication that will fight the underlying virus that causes cold sores. These "antiviral medications" may reduce symptoms and shorten the duration of a cold sore outbreak, but it will not cure your cold sores for good.